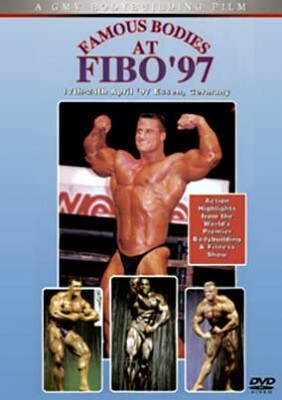 Enjoy all the action and all of the famous stars on parade at FIBO ’97. Posing, interviews and Fitness Contests. Action Highlights from the World’s Premier Bodybuilding and Fitness Expo. Some of the “monsters of mass” included Jean-Pierre Fux, Flex Wheeler, Vince Taylor, Roland Czuirlok, Gunter S and Mike Matarazzo who posed for the screaming fans on the Weider stage. Enjoy all the action and all of the famous stars on parade at FIBO ’97. Posing, interviews and Fitness Contests. Action Highlights from the World’s Premier Bodybuilding and Fitness Expo, at the 1997 FIBO. Some of the “monsters of mass” included Jean-Pierre Fux, Flex Wheeler, Vince Taylor, Roland Czuirlok, Gunter S and Mike Matarazzo who posed for the screaming fans on the Weider stage. Mike O’Hearn Natural Mr. Universe was also a huge hit at this his first FIBO.